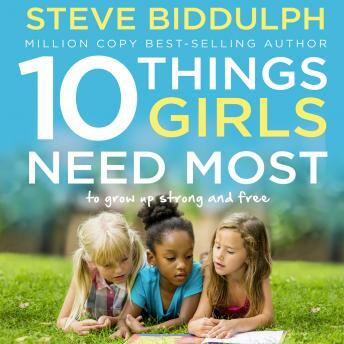 In answer to the crisis in girls' mental health, the UK's best selling parenting author Steve Biddulph brings an interactive learning guide rich in content and interactive elements to help parents be prepared and self-aware in providing for their daughters. the relationship with their girls from the cradle to the teenager. It is a guided journey of exercises, conversations, reflections and self-rating questionnaires that builds the inner capacities in a parent, targeted at each stage of their daughters growing up. Every aspect - love and security in babyhood, mindfulness, setting boundaries, emotional well-being and emotional literacy, education and learning in primary and secondary school, friendship, puberty and adolescence, sexuality and sexualization, choosing partners and negotiating equality and respect. ; in fact everything a father or mother needs to think about to be prepared and self-aware in providing for their growing girl. Complemented by real -life case studies and full colour photographs throughout.